Carbohydrates make up the majority of our diet. They provide glucose, which our body uses as energy. According to dietary guidelines, half or more of our total daily calories should come from carbohydrates; fruits, vegetables, and whole grains. Low carb diets limit these carbohydrate sources, and increase intake of protein and fat to encourage weight loss. Carbs come in two types: simple and complex. When you eat carbs, your body converts them into sugar and your blood sugar rises. Then your pancreas releases insulin to move that sugar into the cells to be used as energy. Whatever sugar you don’t need right away is stored as fat. The two types of carbs have different effects on your blood sugar. Simple carbs such as cookies, brownies, pastries, white bread and pasta, and candy are made with white flour and white sugar. Your body breaks simple carbs down quickly and blood sugar spikes as a result. Complex carbs digest slowly, so they have less of a dramatic effect on blood sugar. Low carb diets lower insulin levels, so less sugar is stored as fat. Several different types of low carb diets, from Atkins to South Beach, exist. Each diet recommends a slightly different composition of carbohydrates to fats and protein. Some low carb diets are very restrictive, allowing almost no carbs. One of the Atkins diet plans allows only 40 grams of “net carbs” (total carbs minus fiber and sugar alcohols) a day. Compare that to the Dietary Guidelines, which recommend 225 to 325 grams of carbs a day. Other low carb diets are less strict. They allow small amounts of fruit, vegetables, and whole grains. One of the biggest concerns with low carb diets is that they may replace carbohydrates with unhealthy protein and fat sources, such as red meat. Anyone who is considering switching to a low carb diet should consult a doctor to make sure the plan is healthy and appropriate for them. Since the first paleo diet book hit store shelves nearly two decades ago, this eating plan has skyrocketed in popularity. On paper, the paleo diet, (aka the “caveman” or “stone age” diet) encourages consumption of foods that would have been hunted or gathered by our ancestors during the Palaeolithic era. 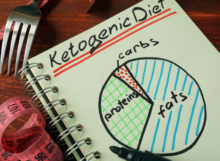 Can a high-protein/ low-carb diet really be a healthy and natural way to lose weight? Yes! And it’s a great way to stay satisfied while you burn stored fat and maintain muscle according to researchers.